A comprehensive list featuring first quality optics resulting from customer order overruns that are available from stock for immediate delivery at a significant cost savings over special ordering has been introduced by Meller Optics, Inc. of Providence, Rhode Island. 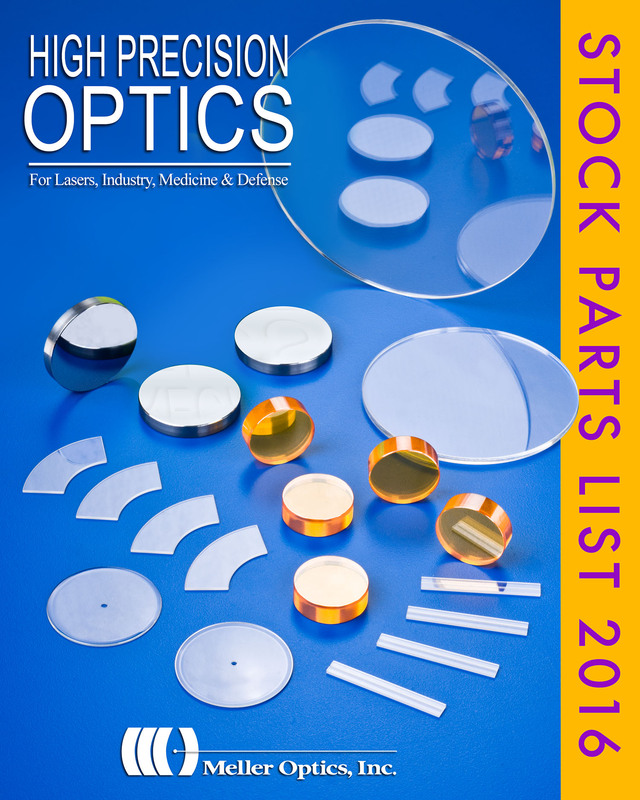 The Meller Optics 2016 Stock Parts List includes over 75 categories of first quality parts made from a wide range of materials in round, square, rectangular, flat, and round shapes. Providing an alternative to custom ordering, these hard-to-find optics can be purchased online for an average 20 percent lower cost than special ordering and are shipped the same day. Updated weekly, the Meller Optics 2016 Stock Parts features sapphire waveplates, lenses, and windows, BaF2, CaF2, germanium, quartz, CO2 laser focusing lenses, and CO2 engraving and marking laser field replacements. Dimensional tolerances range from ±0.001” to ±0.0005”, with flatness from 10 waves to 0.10 wave, and 10-5 to 80-50 scratch-dig typical. The Meller Optics 2016 Stock Parts List is available with online ordering at www.melleroptics.com/overrun.asp .